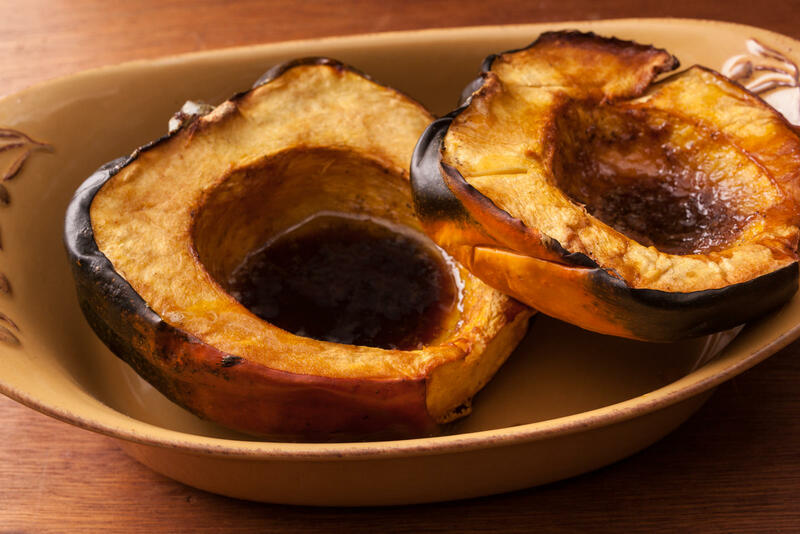 After roasting, the center of this acorn squash becomes a tiny swimming pool of melty butter and molasses-y brown sugar—need we say more? 1 Heat the oven to 400°F and arrange a rack in the middle. 2 Meanwhile, cut the squash in half lengthwise and scrape out the seeds. Cut a small slice off the rounded side of each half to stabilize the halves so they sit upright. 3 Place the halves cut-side up on a baking sheet. Using your fingers, coat the flesh of each half with 1 piece of the butter, then season generously with salt and pepper. Divide the sugar and remaining butter pieces among the squash cavities. Roast until fork tender, about 45 minutes to 1 hour.